The Red Circle is Sherlock's home in Washington DC. Now in our seventh decade, we continue to celebrate his immortality and enjoy each other's company. All are welcome to join us and share our interest in all things Sherlockian and Doylean. "Collecting Photoplay Editions Tied to Old Mystery Films"
May 3 - 5 Malice Domestic For the 31st time, our own regional confab for mystery lovers will again be an open book at the Bethesda North Marriott Hotel. All are welcome, of course, and registration information is here. May 5 -12 Sherlock's Veiled Secret Even Peter Blau has not yet seen this play by K.C. Brown, but he and many other Sherlockians will be in the audience at the Rockville Little Theatre. Ticket information is here. May 31 - June 5 Dark Deeds in the Canon A half dozen pilgrims from the Red Circle attended 2017's Alpine adventure sponsored by the Reichenbach Irregulars of Switzerland. They're heading for the hills again, and the upcoming jaunt promises to be just as much fun. Marcus Geisser advises that the event is essentially sold out. However, if you decide you'd like to attend, look at the detailed description of the program here. Then send an e-mail to Marcus to see if he can squeeze you in. Do this before making any hotel reservations. June 5 L. Frank Baum: The Man Behind the Curtain of Oz Our great friend and Red Circle stalwart Dan Stashower, along with actor Scott Sedar, will present another of their literary lookbacks, complete with readings, good discussion, and a reception. Since we're not in Kansas anymore, all this happens at the Smithsonian Institution. Ticket information is here. June 7 - 8 A Scintillation of Scions Baltimore is once again ground zero for this annual gathering of Sherlockians from the mid-Atlantic and beyond. Another fine program awaits us. Registration is open and information is here. June 9 The Silver Blaze (Southern Division) Join fellow Sherlockians in the Winner's Circle at Laurel Racetrack to celebrate yet another victory in this fabled equestrian gambol. Tickets available here. June 21 Joint meeting of the Red Circle and the Sublibrarians (Sherlockian librarians scion) during the annual meeting of the American Library Association, at a time and venue in the DC area to be announced. Watch this space. August 8 -11 Dark Places, Wicked Companions, Strange Experiences. That's the theme of the Norwegian Explorers' triennial conference in Minneapolis, one of the most eagerly anticipated Sherlockian get-togethers. The Red Circle is always well-represented, so mark your calendar now. Registration is open and information is available here. September 27 - 28 Washington Antiquarian Book Fair This is a fine place to see and purchase interesting books, Sherlockian and otherwise. Information is here. October 26 The Seven-Per-Cent Solution The film version of perhaps the most celebrated Sherlockian pastiche will be screened at the AFI Silver Theatre in Bethesda. The author and screenwriter, Nicholas Meyer, will be on hand to discuss his 1974 novel and the 1976 film. Presented by the Diogenes Club. Details to come. November 8 - 10 Baker Street Irregulars Archive Conference will take place at the new home of the BSI Archive, the Lilly Library in Bloomington, Indiana. November 9 A Saturday with Sherlock Holmes will once again grace the Enoch Pratt Free Library in Baltimore. Details to come. The Red Circle met for a delightful springtime luncheon and program on March 30. Our trusty Meeting Notes scribe Carla Coupe kept track of the proceedings as usual, and her report is here. And on this day Carla doubled as principal speaker, giving a fine paper entitled "Published When the Times Were Right." Her talk was received enthusiastically, and she has graciously provided the text for our Writings section. You can find it there where it will be archived, and directly through this link. Your time definitely will not be misspent! 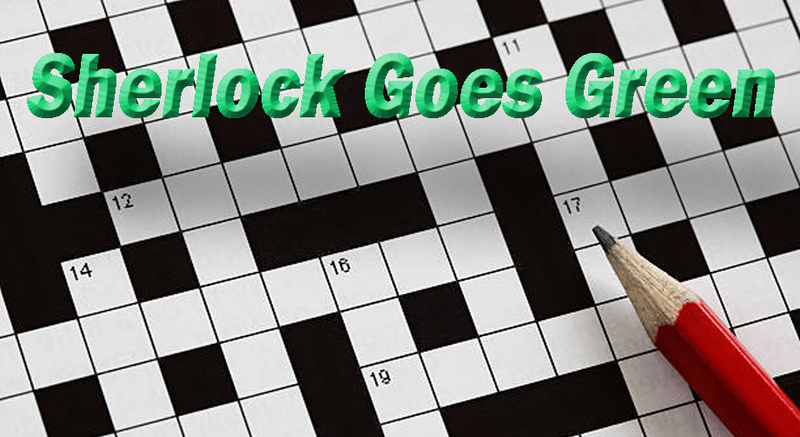 Sherlock Goes Green It's springtime, and our Red Circle crossword puzzle purveyor Verna Suit presents a Sherlock Goes Green puzzle for us to ponder as the good weather nears. The puzzle originally appeared in last year's Scintillation of Scions program, and Verna distributed it at the Red Circle's March 30 meeting to challenge us. If you didn't get a copy at that time, all you have to do is follow this link to the puzzle, print it, solve it, then submit it to Peter Blau per the instructions on the puzzle itself. The first correct solutions will win prizes that will make your fellow Sherlockians green with envy! We'll post the solution here once the dust settles. Watch this space! In Memoriam: Julie Snell The Red Circle is saddened to stand upon the terrace for Julie Snell, who died on March 22. Julie was born in 1923 and grew up in Schenectady, NY, graduated from Cornell University with a major in German Language and Literature, and went on to be a science writer in General Electric's research lab. She and her then fiancé Charlie Snell exchanged some 1,500 letters during World War II and referred to each other as the Beatrice and Benedick of the war. Together, they joined the Red Circle in 1972, making Julie our (almost) senior member. She was also a member of the Sherlock Holmes Society of London and once attended their annual dinner. She enjoyed mystery novels, loved crosswords, quote-acrostics and bridge--and always was delighted when the bridge columns in the Washington Post mentioned Sherlock Holmes. Julie and Charlie are survived by three beautiful, brilliant, talented children (one daughter and two sons), three granddaughters, two grandsons and one great-granddaughter. Julie's daughter Nancy Anselm kindly donated the door prize for our meeting in March: a framed poster from Julie's collection with Sherlockian artwork composed of the entire text of The Hound of the Baskervilles in one and two point type. Nancy told us that Julie wanted someone in the Red Circle to have it. Wounded at the Bar If you’re like Watson, you never know where the after-effects of a wound from a Jezail bullet will show up. The same may also be true of the Jezail Bullet cocktail, an interesting concoction with a nicely Canonical name and a Sherlockian history. Four years ago our friend and author Lyndsay Faye commissioned her husband Gabriel Lehner (who does this sort of thing professionally) to create a specialty cocktail for the Baker Street Babes’ “Daintiest Bee Under Your Bonnet Ball.” Laurie Fraser Manifold contributed attractive artwork, and the cocktail is reported to have met with universal approval, with relatively few needing to be carried away on a stretcher or requiring the ministrations of young Stamford. A readable, downloadable and printable .pdf version of Laurie Manifold’s art can be found here. Thanks to Mike Quigley for the tip. 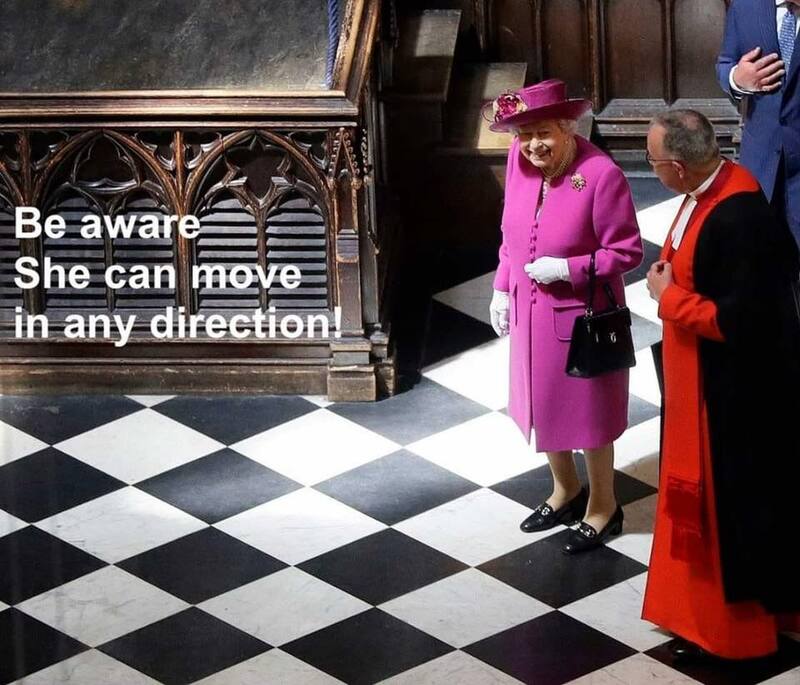 The Queen's Prerogative One of the funnier memes floating around the internet these days is bringing belly laughs to chess players, as the Bishop seems to be in imminent danger! But there's a clear Sherlockian connection too. It brings to mind Basil Rathbone's portrayal of Holmes in the 1943 film Sherlock Holmes Faces Death, based on "The Musgrave Ritual." Holmes says, "Look at it Watson! Look at it. Like a giant chessboard. This is no gibberish. These are chess terms and that's the chessboard. The key to the Musgrave murders is locked up in that floor. And by Jove, we've got the key to it!" 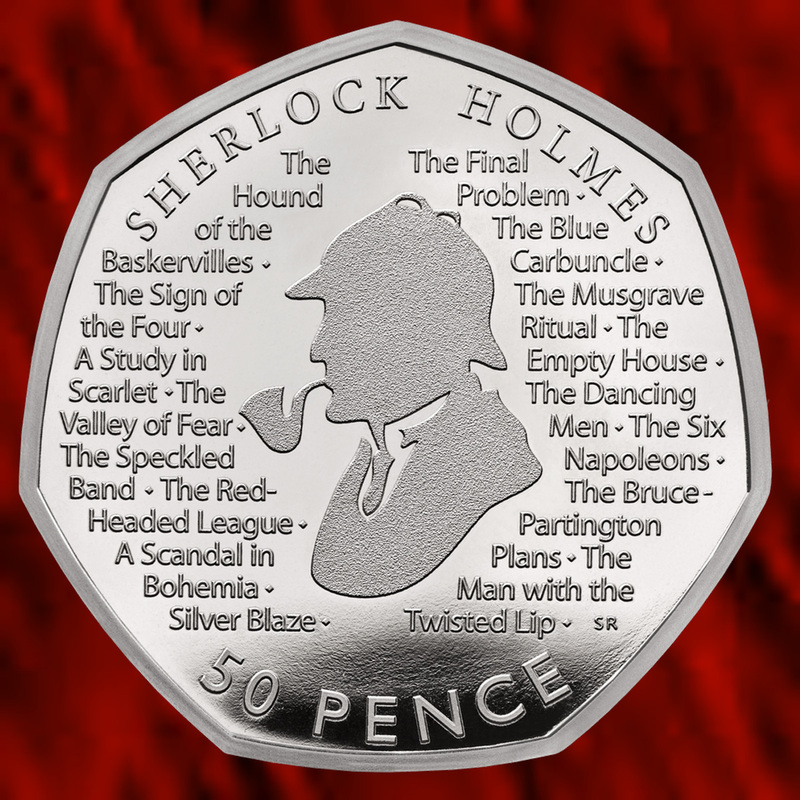 A Sherlockian Coin of the Realm The new year brings a commemorative coin set from Great Britain's Royal Mint that includes a 50p coin with a tribute to Sherlock Holmes on the reverse. The coin is issued to mark the 160th anniversary of the birth of Sir Arthur Conan Doyle. The handsome image was created by artist Stephen Raw, whose intials appear at the bottom of the design. The obverse carries the standard image of the Queen. Our UK friends tell us that the coin will go into standard circulation, but in very limited quantities. Collectors can buy it directly from the mint, but at this point it appears it must be purchased as part of the year's commemorative set at a price of 55 pounds plus shipping. See the information here. The Red Circle is making energetic enquiries into whether the Holmes coin may be purchased individually, and further information will be posted here. The Red Circle's December 7 dinner meeting was all about fun, games and holiday cheer. Carla Coupe kept track of the doings and you can read her notes here. Boxing Day Quiz As Carla Coupe mentions in her Meeting Notes for December 7, one of the evening's brain teasers was a Boxing Day Quiz devised by Dana Richards. Dana has provided the quiz for us here. Note that it's a six-page file, with the first three pages devoted to the questions only. The answers are revealed on pages 4-6. You can read and/or download the quiz here. Mueller Investigates The New Yorker's year-end cover by artist Barry Blitt is a natural for Sherlockians in and around our captial city. Special Counsel Robert Mueller plays the part of Holmes as he "smokes out" his prey. Take a look at the cover story that goes with the image. Our website has just passed it's eighth birthday, so it seems right to rummage back in the archive to find an article your webmaster wrote in November 2001, as we celebrated our first anniversary as the Red Circle's online home. We've reached a lot more people since then, and built a much more robust archive of people, places, events and passages. Thanks to all who've contributed. . .those who've written articles and reviews, supplied texts of their presentations, given us quizzes and puzzles, and responded to our meeting notices enthusiastically as The Red Circle proudly continues to keep the memory green. Read Alan's article about the early days of our website here. The Red Circle welcomed Monica Schmidt to our luncheon on September 8. 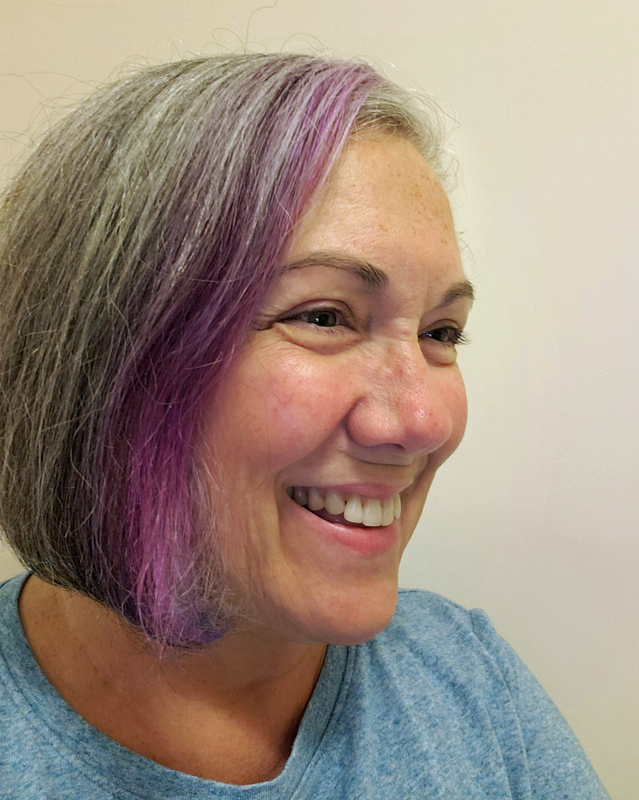 Monica is both a Sherlockian and a mental health counselor, and her presentation on Sherockian hoarding was very well received, as reported in Carla Coupe's Meeting Notes. Read them here. In addition, Monica has kindly provided a text version of her talk which you can read here and in the Writings section. Both are highly recommended. Curious Incidents at the Reference Desk One of the joys of living in the Washington area is knowing that one of our local libraries is housed in three buildings on Capitol Hill. 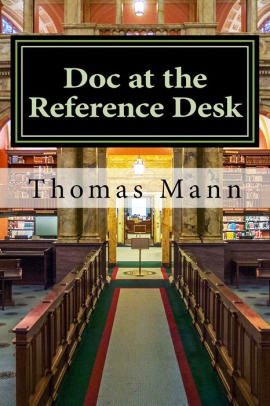 The Library of Congress has all sorts of resources, including a well-staffed reference desk, where for more than 30 years you could find Red Circle member Thomas Mann, who like all good Sherlockians seemed to know just where all the bodies were buried. Now retired, Tom has found time to write Doc at the Reference Desk (Washington: Alexandrina Press, 2017; 77 pp., $7.00). This collection of fictional but revealing "small stories in a large library" gives us an idea of some of the strange things that can happen at a reference desk. It’s non-Sherlockian (but obviously written by a fellow traveler), and great fun for all those who like real libraries. Scuttlebutt: One Fixed Point in a Changing Age Our own Peter Blau's monthly Scuttlebutt from the Spermaceti Press has endured for some four dozen years, and has a permanent home right here on our website. It's the most remarkable collection of Sherlockian news and notes anywhere, and your webmaster recommends a monthly visit. The very latest edition is available now, as are past numbers. It's just a click away--use the "Scuttlebutt" button at the top of the page. For earlier, archived items from The Inner Circle, click here.